If you sift through my blog post, you will see that my goal is to encourage and inspire young women. If this is your first blog post of mine you should know a common question I ask is "What advice do you have for young women?" 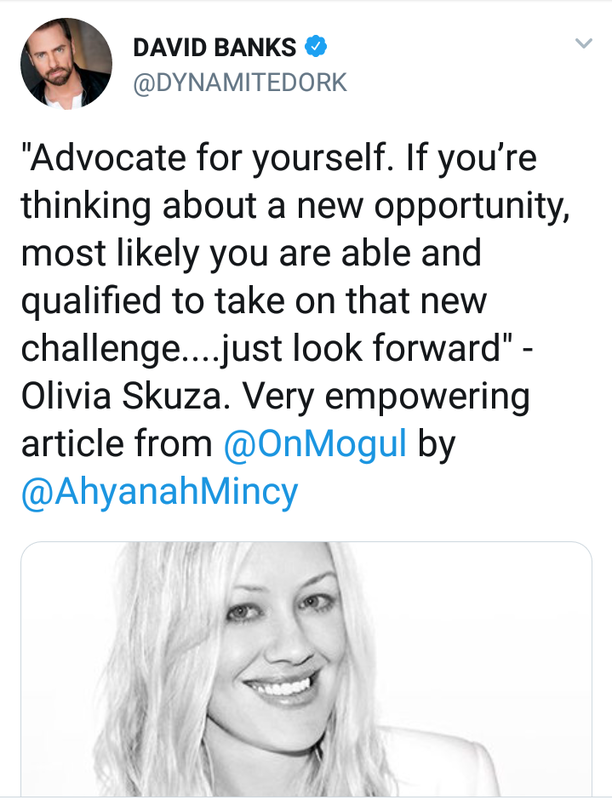 or "What advice do you have for young businesswomen?" The reason why I ask this question is to empower young women that read my blogs that they too can become successful businesswomen. 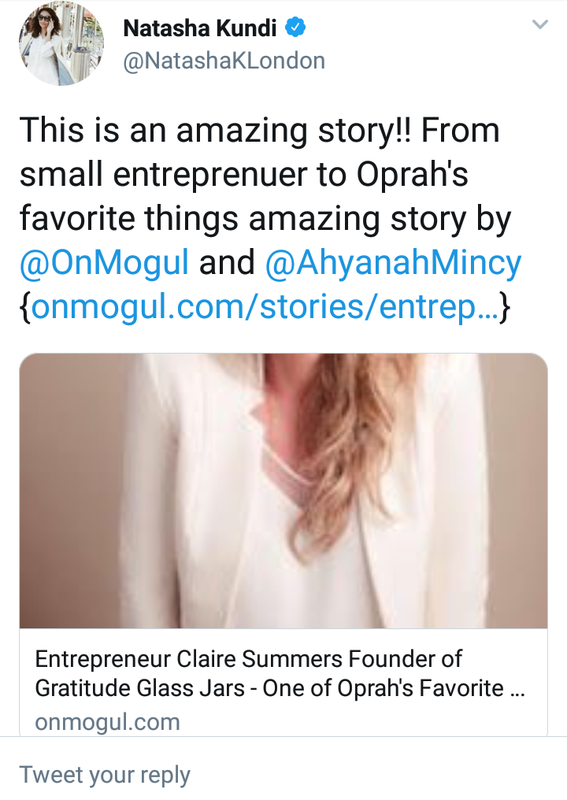 I have had the privilege of blogging about women who have been recognized by Oprah, Shark Tankand Apparel Magazine. I also had the privilege of interviewing an NBC journalist and a woman who spoke for TEDx. This is the beginning for me. 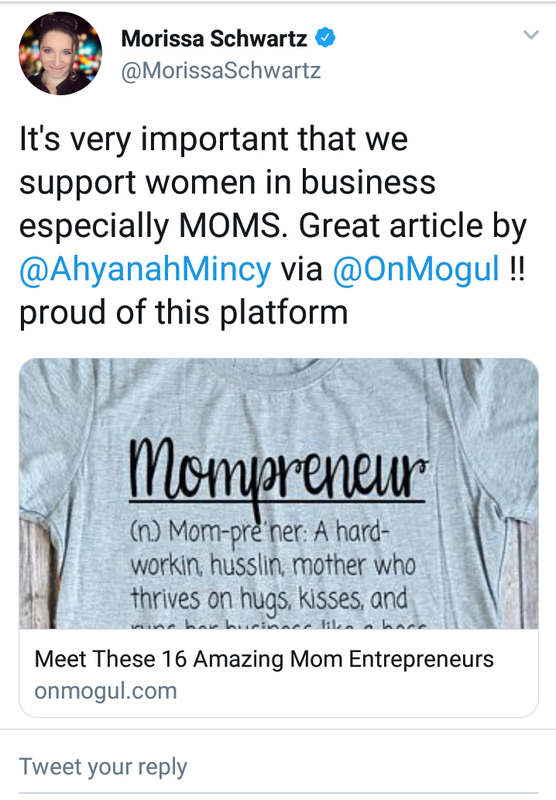 #Mydream is to use Mogul to give businesswomen from all walks of life a platform and encourage young women in business by asking successful entrepreneurs a simple question; "What advice do you give to young women?" 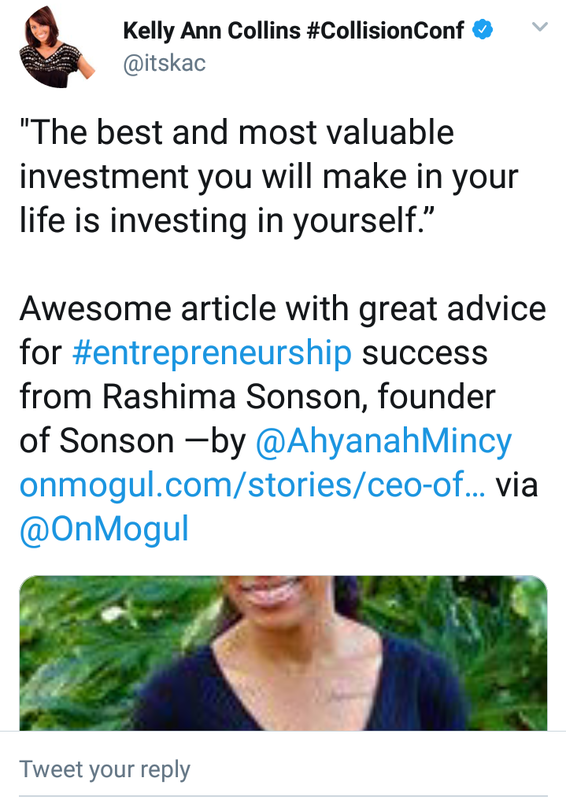 Some of the best advice I have ever received came from entrepreneurs I have interviewed for Mogul. Raven Thomas, Founder, and CEO of The Painted Pretzel which is a product featured on Shark Tank advised young black women like me. 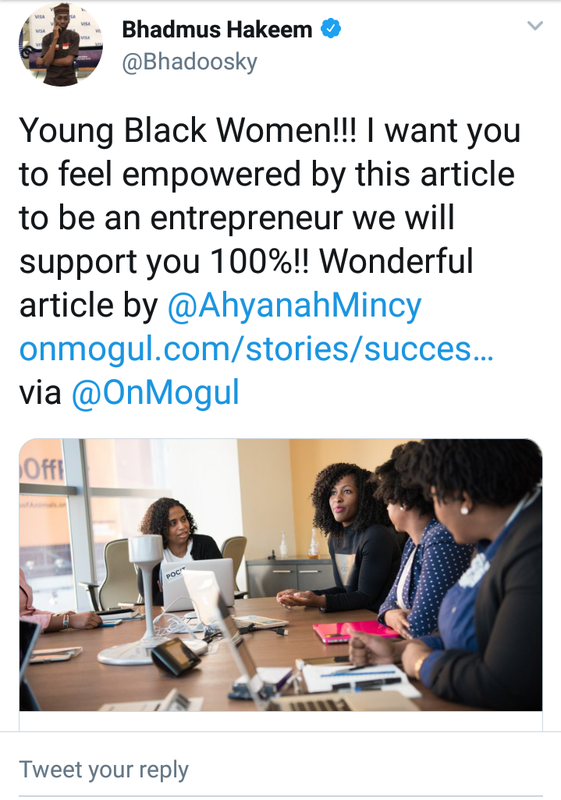 Her advice was “I would advise young black female entrepreneurs to remain confident in themselves. Do work that excites you, that pushes you and challenges you to develop new skills based on your interests. Know that although friends and family may show moral support, do not determine your success and failures based on their opinions...don't quit and know that you are capable of reaching your dreams." NBC Journalist Danielle Radin "My advice to young women is never to be afraid to follow your dream career. If you're stalling because you think you need more school, more experience or more charisma you are selling yourself short. The time is now to chase the job that will truly make you happy." Travel Blogger Peta-Gaye Daniel "Be open to advise and to learn from those who have tackled some of the questions and challenges, and have cleared some of the hurdles, that you now face. While being open to that advice, know that you are responsible for making your own decisions. As long as you have breath, you have the power to make a decision." 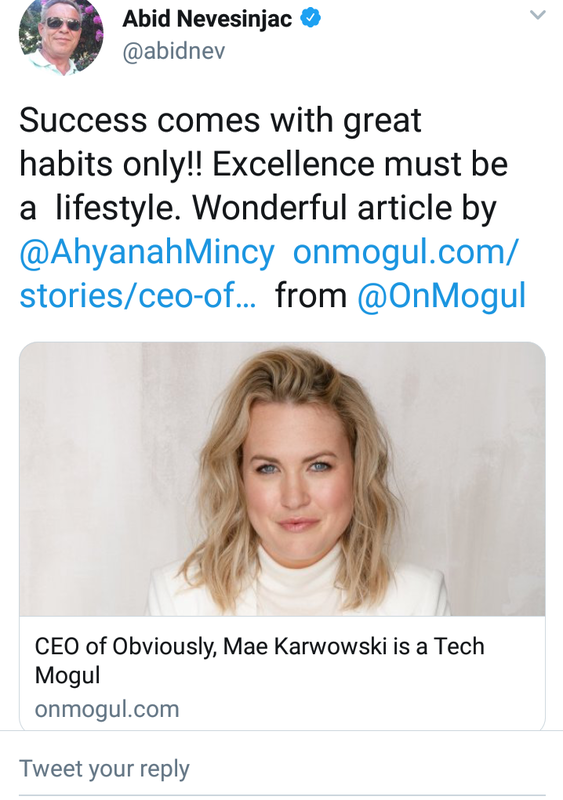 CEO of Obviously, Mae Karwowski "My biggest advice is to simply ‘ask for it.’ For instance, I’m always one to ask for more—whether it's pitching an idea in a meeting or asking for a raise or the opportunity to take on special projects. Showing the ability to be bold with asking will place you one step ahead, and give you the reputation as both a hard worker and a team player." Anita Mahaffey, CEO/Founder of Cool-jams "Never burn bridges…potentially everyone you meet in life is important to your future. Never discount any person you meet as you maneuver through the maze of life." My ultimate dream is to be as an inspiration to ALL women. I have a plan to become the real-life influencer. Expand my horizons to discuss diversity in business, tech and finance industries. If you have any ideas on how I can achieve my dream, please comment below and also feel free to comment your dream. You are awesome @Ahyanah Mincy and such a role model already!! annikiara and 15 others upvoted this.